Top 30 best NES (Nintendo) Games Ever (and of all time!) Wupah! 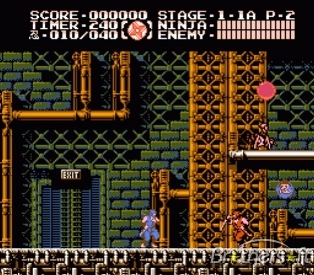 My warm fuzzy Ninja Gaiden moments all come from the third game. I died... a lot, but it was too fun being a bad arse ninja for me to stop playing. The weapons and graphics blew me away at the time. So I know every time this game/show is mentioned, that super catchy theme song gets stuck in our heads and won't leave, but it's a great game so it has to be on the list no matter how many hours the song sticks with us! 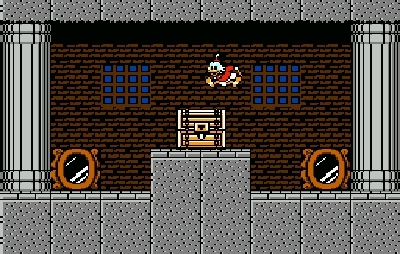 The Capcom platformers were all masterpieces, even (or maybe especially) if they starred ducks on pogo sticks hanging out on the moon. 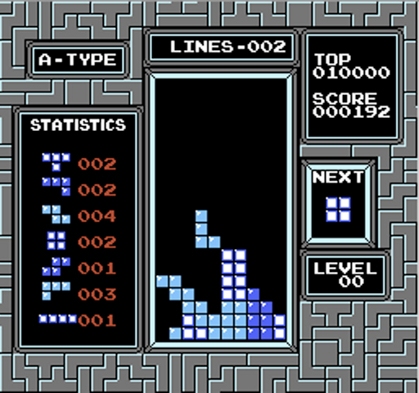 So I got most of my Tetris fix on the Gameboy during long boring car drives (I still try it today, but it's harder when I'm the one who has to drive). But occasionally you want to see it on the “big” (I think I had like an 18” TV at the time) screen! Way back before the ridiculous dunking of NBA Jam there was... the ridiculous dunking of Double Dribble! 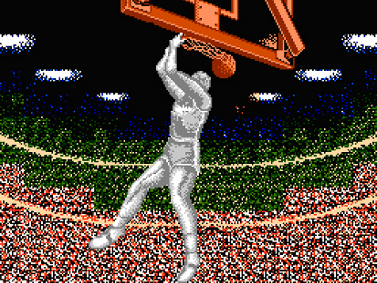 You have these horrible looking sprites (well, actually they looked good for the time) playing basketball, but when you go to dunk you get these amazing (again, for the time) dunk animations. Also, it was fun to play! 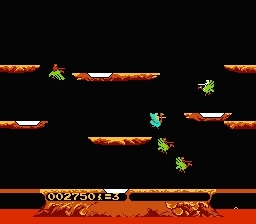 Back when I had friends, there was something so much fun about cooperatively beating up bad guys as silly looking frog creatures and/or the Double Dragon dudes. 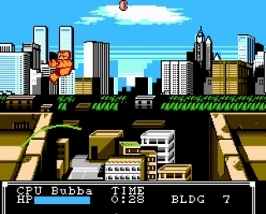 Like most good NES games, the gameplay was difficult but rewarding. 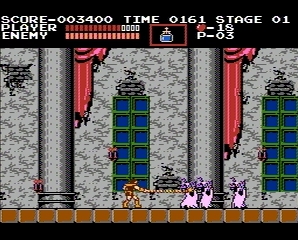 Ahh, the game that started the franchise of awesomeness that is the Castlevania games. 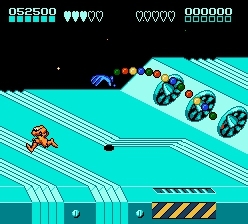 I remember the platforming was awkward (you can't steer your jumps? And enemies knock you backwards? ), but the “scary” environments and enemies made the play through worth it. The hearts based power up weapons system is still one of the most fun to play. So I died... a lot in this game. I think I spent a good portion of it (and my real life) running around in my underwear. It was still a blast to play however, and I wish more modern games would ramp up the difficulty a bit. Well, maybe not this much, but come on! 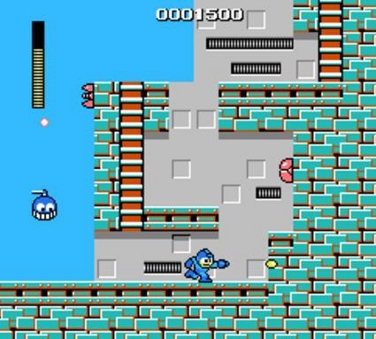 This was the game that started the Mega Man craze for me. 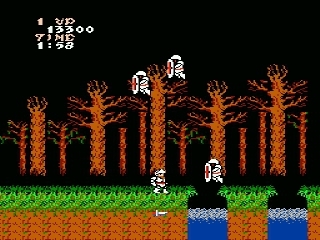 The platforming was amazing but difficult and the levels could be played in any order. I don't think I realized the significance of certain bosses being weak against certain weapons when I was a tiny child, so I died many times. And even though the difficulty was indeed high, I always was able to progress swiftly enough to offset the frustration. I love this game! You basically fly around on a [somehow] flying ostrich and crush other flying ostrich riders while making sure to collect their death eggs before they hatch and a new ostrich rider is born. I really liked the control scheme (or the momentum physics engine) and the sense of speed (well, it's no Sonic) you get as your jouster careens about the level. Think of it as a more violent Track and Field (or California Games or Skate or Die) collection of mini games, only in between rounds you get to use the coins you've collected from beating up your friends to by items and upgrades to ensure that you beat them up further. Best when played multiplayer.